This site is designed to promote the services offered by the client, it is mobile friendly and easy to use. 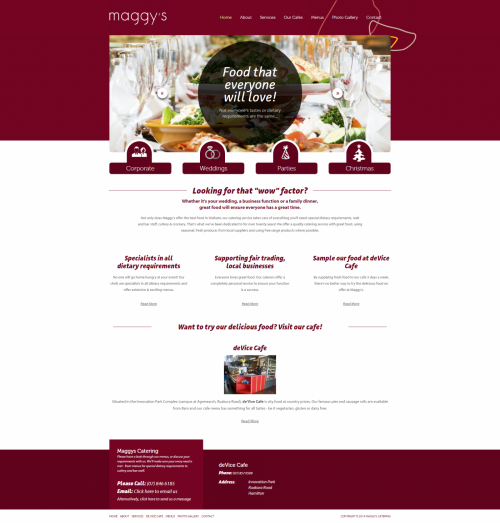 Maggy's Catering offer a quality catering service with great food. Using seasonal fresh produce from local suppliers and using free range products where possible. You can try their delicious food at their two cafes in Hamilton.